_MAL6194, originally uploaded by Michael A. Lowry. 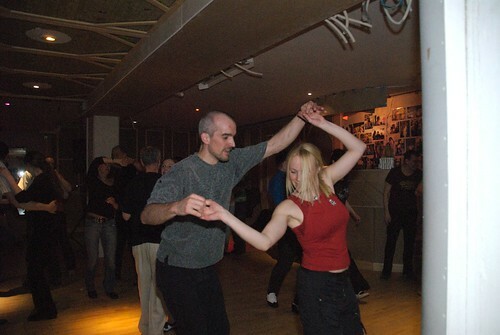 Last night after my salsa lessons, I went down to Söder for a bit of swing. It had been a few weeks since I danced anything but salsa, so it took a while to get back into it. Stina was there as well as Walles. I met them on the ski trip to Kittelfjäll a few weeks ago, and it has been fun to see them at Chicago since then. Stina's a great dancer, and always has fun, even when dancing with a comparative beginner such as me. I posted the best 21 photos from last night. Check 'em out!